With this insanely nice weather, I’ve been craving ice cream and cold treats. However, ice cream can be loaded with added sugar and fat and is not a low-calorie snack. 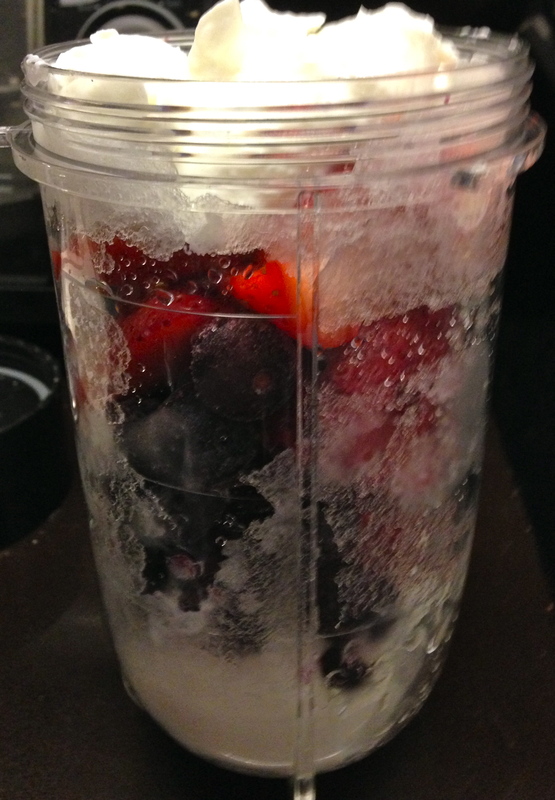 Instead, I’ve been making my own smoothies every morning with plain, 0% fat, Greek yogurt and fresh and frozen fruit. Not only this is a super-quick (it literally takes less than 3 minutes to prepare!) breakfast or snack, but it’s great on-the-go in a thermos. Also, this is an ideal breakfast to make the night before – just store in a covered glass in the fridge and give it a stir in the morning. After making these smoothies, you won’t even be thinking about ice cream, anymore! 1. Place ice cubes in blender (I am in love with my Magic Bullet – perfect for whipping up smoothies quickly and such little clean up!). Pulse until finely chopped. This creates more liquid so that the smoothie blends well. 2. Add yogurt, berries and honey to blender. Blend until smooth (about 1 minute). You may need to pause the blender and stir every once in awhile in order to incorporate all frozen pieces. 3. Pour into cup or thermos and enjoy! 1. Place ice cubes in blender and pulse until finely chopped. 2. 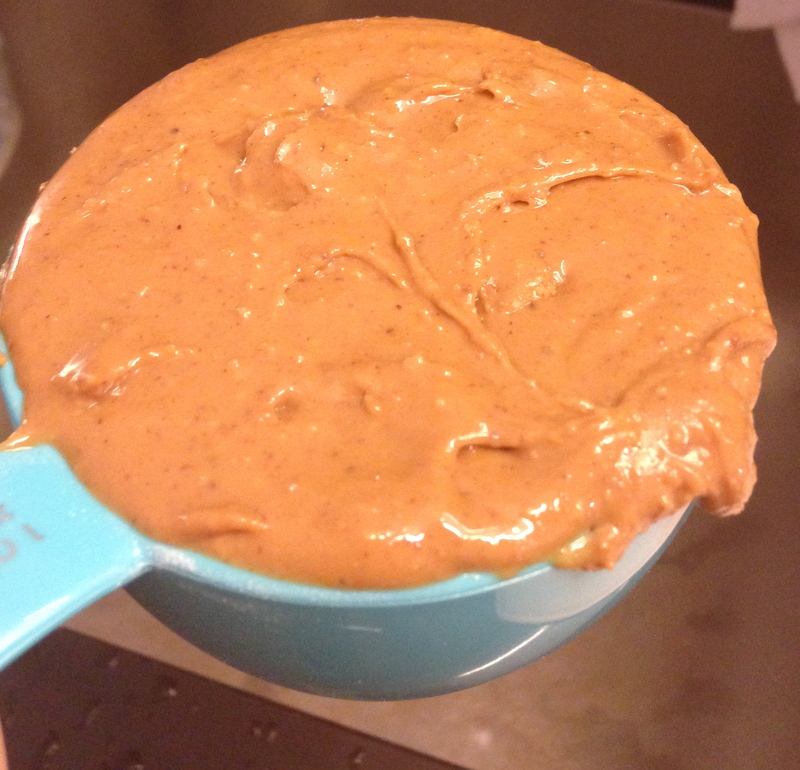 Add yogurt, mango, banana (in small chunks – I usually break my banana into quarters) and honey to blender. Blend until smooth (about 1 minute). You may need to pause the blender and stir every once in awhile in order to incorporate all frozen pieces. Interested in other smoothie ideas? 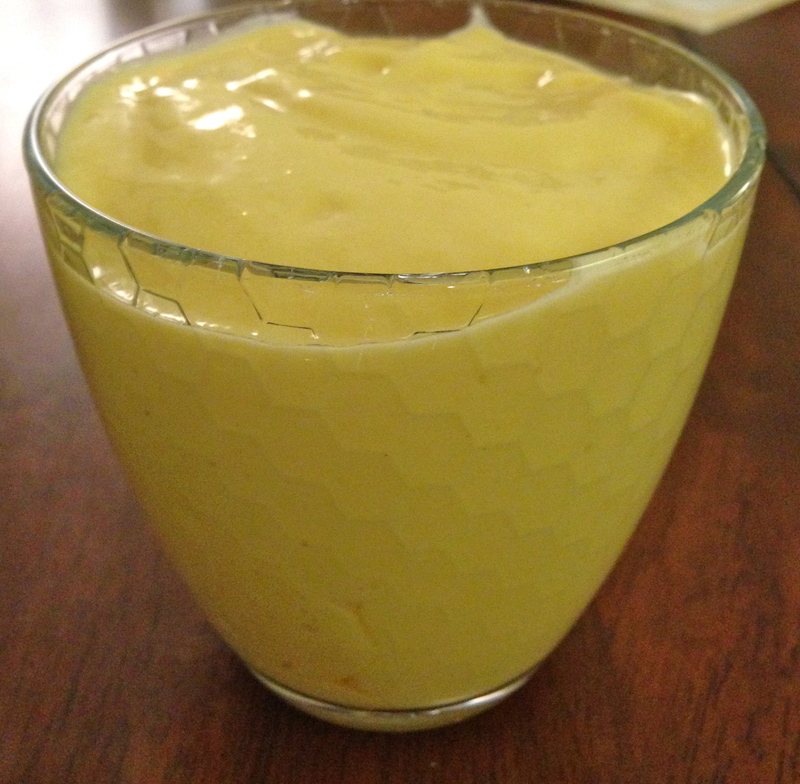 Instead of the banana in the mango smoothie (above), I’ve used 1/4 C fresh pineapple chunks – and it tastes amazing! Other fun smoothie ideas? strawberry kiwi, banana berry, or, for a more filling option, banana-peanut butter! 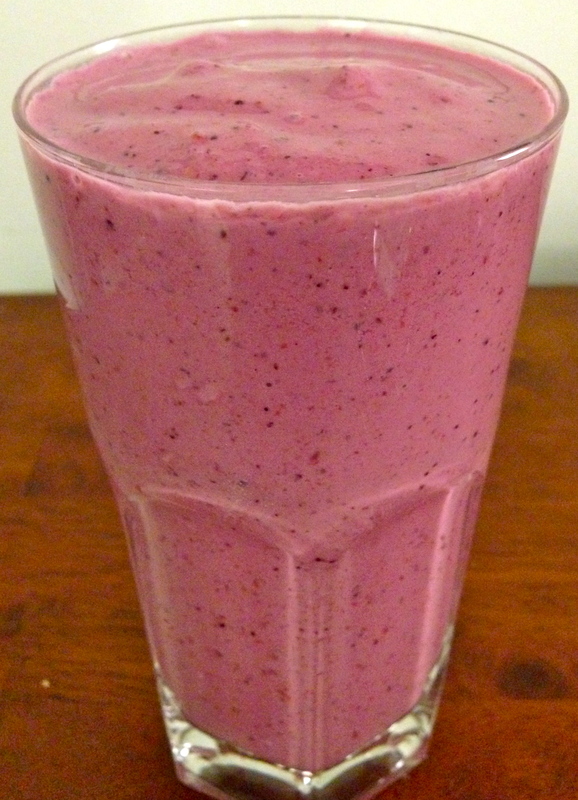 I’ll post some other great smoothie recipes as the warm weather continues and feel free to post your favorites! As the weather gets warmer, I love buying fresh fish and making it myself. Fish is a light alternative to other animal proteins and offers a ton of nutrients for relatively few calories. Specifically, salmon offers up a hearty serving of omega-3 fatty acids, which have anti-inflammatory properties. This simple salmon dish is easy to make and great for beginners. Also, it’s super healthy and serves up a delicious plate of nutrients that you can feel good about eating! 1. Preheat oven to 350 degrees Fahrenheit. Spray casserole dish with nonstick vegetable oil cooking spray and place salmon fillet in dish. 2. Drizzle olive oil over salmon. Add lemon juice and spices. 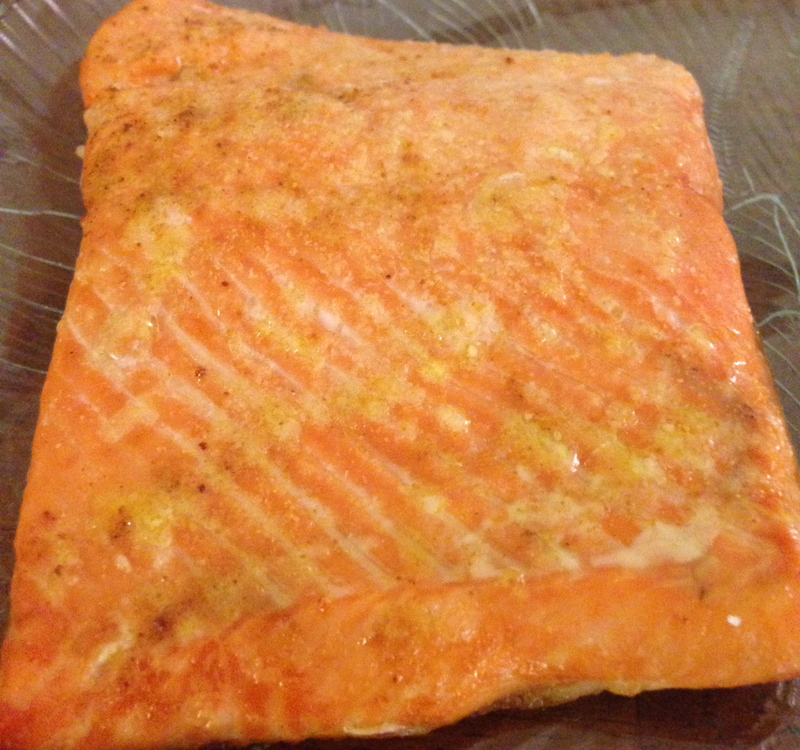 If needed, take a knife to gently rub spices and marinade over salmon evenly. 3. Bake salmon in oven for 20-25 minutes, until the fish reaches an internal temperature of 165 degrees Fahrenheit. The fish should flake easily with a fork. Enjoy! 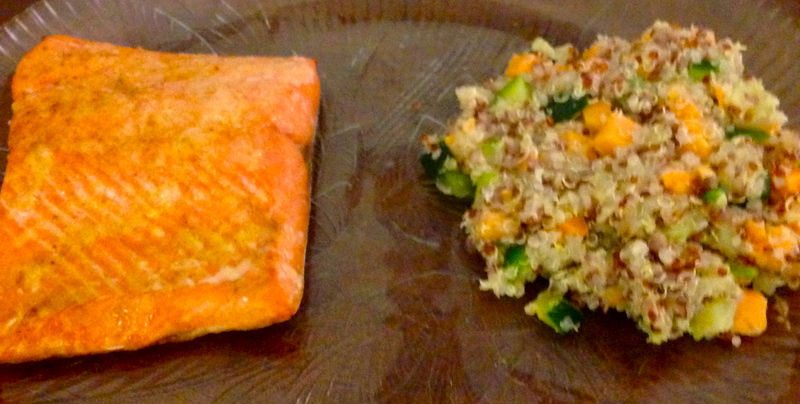 I ate my baked salmon with quinoa and mixed veggies! Kale has a ton of nutrients, including vitamins E, K, A and C. However, when eaten raw, it can be bitter and the nutrients are less available for your body due its tough cell walls. When eating raw kale, it is always best to “massage” the kale with an acidic marinade, which begins the breakdown process and also counteracts its bitter flavor. 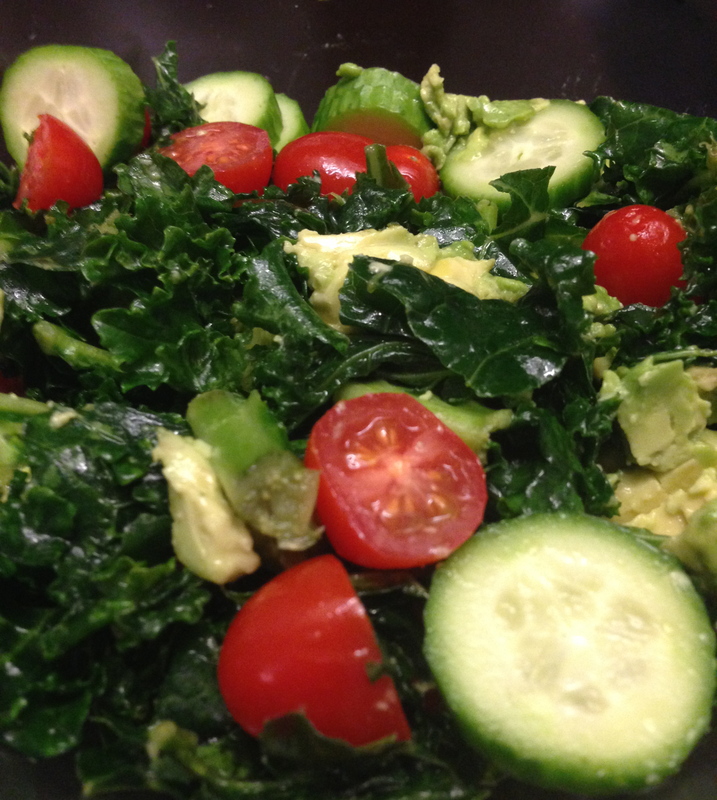 For this kale salad, I massaged the kale with fresh lemon juice and extra virgin olive oil and added avocado, tomato, cucumber and some salt and pepper. Simple, presentable and delicious! kale – ready to be “massaged”! 1. Wash kale and pat dry. Add kale to large bowl. 2. 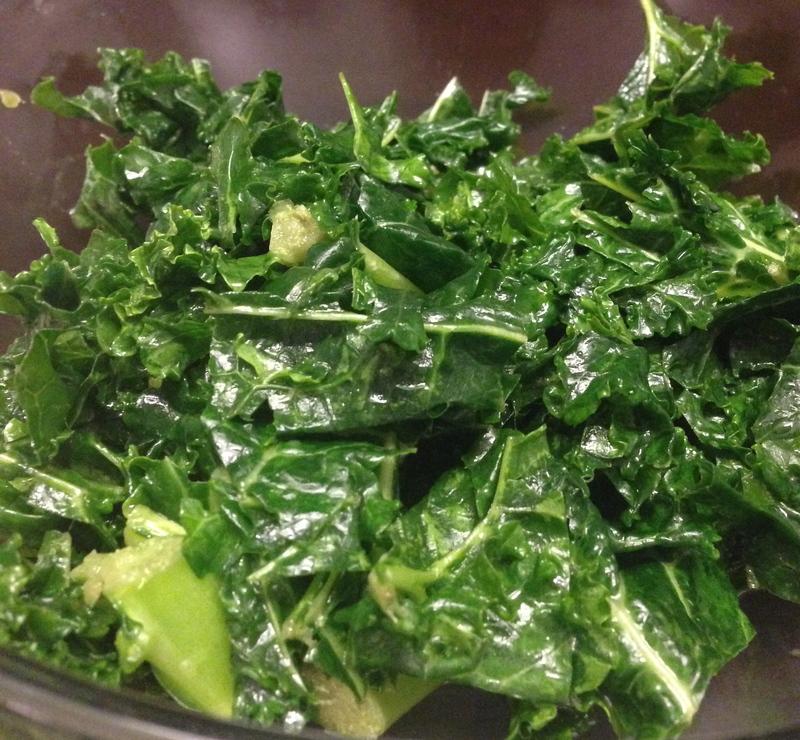 Squeeze lemon juice directly over kale (watch out for seeds!) and add olive oil. Gently massage kale with dressing for 2-3 minutes, until kale begins to wilt and turns dark green. Kale should be soft when finished. 3. Slice avocado into small cubes. Add avocado, tomatoes and cucumber slices to salad. Add salt and pepper to taste. Mix well and enjoy! 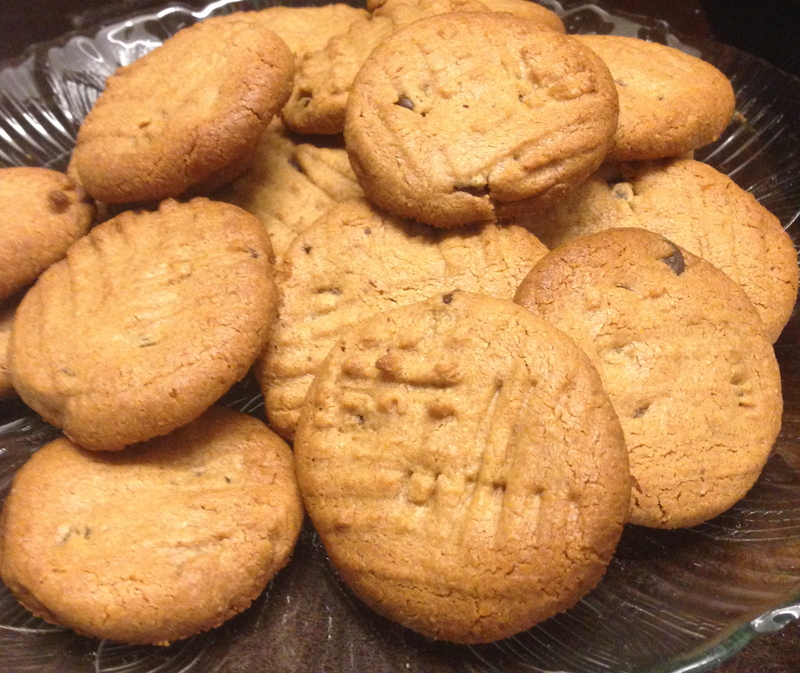 Guilt-Free Peanut Butter Chocolate Chip Cookies! Sometimes, you just want a cookie. My favorite kind is peanut butter, but I prefer to bake my own, since I know this treat can actually be surprisingly guilt-free if made the right way. Using natural peanut butter and only a handful of ingredients, these cookies take no time to bake and are actually made with ingredients you can feel good about eating (minus the sugar – but they’re still cookies)! Who says you can’t have your cookie and eat it, too?! Now give it a stir! 2. 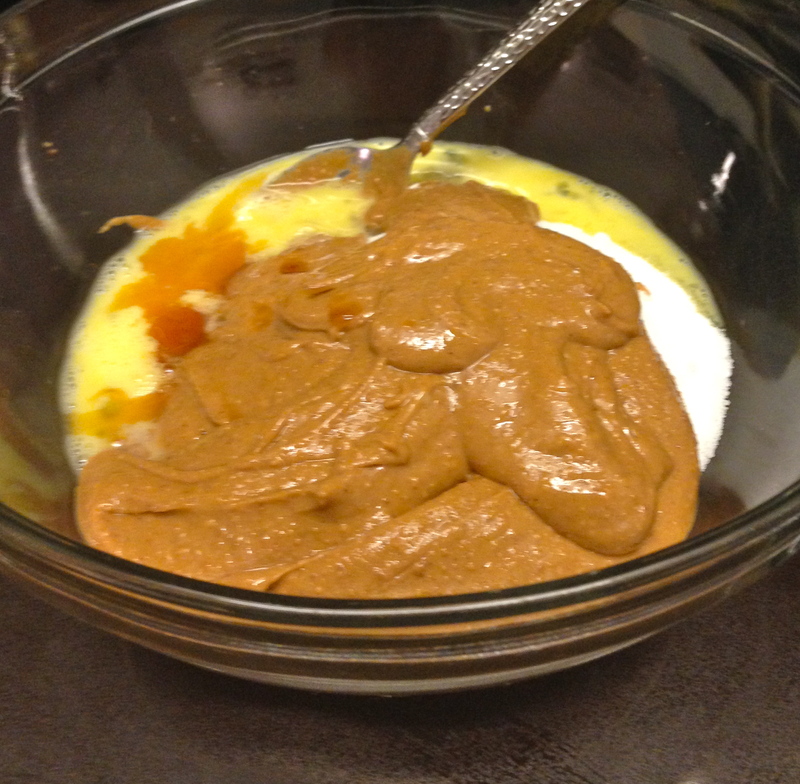 Add peanut butter, sugar, egg and vanilla extract to a medium-sized bowl. Stir well until all ingredients are combined. The batter should be mouse-like. 3. Fold the semisweet chocolate morsels into the batter. 4. Spray baking sheet (or tin foil) with nonstick vegetable oil cooking spray. 5. Take small spoonfuls of batter and roll each spoonful into a ball before placing on baking sheet. Balls should be approximately 1 inch in diameter. 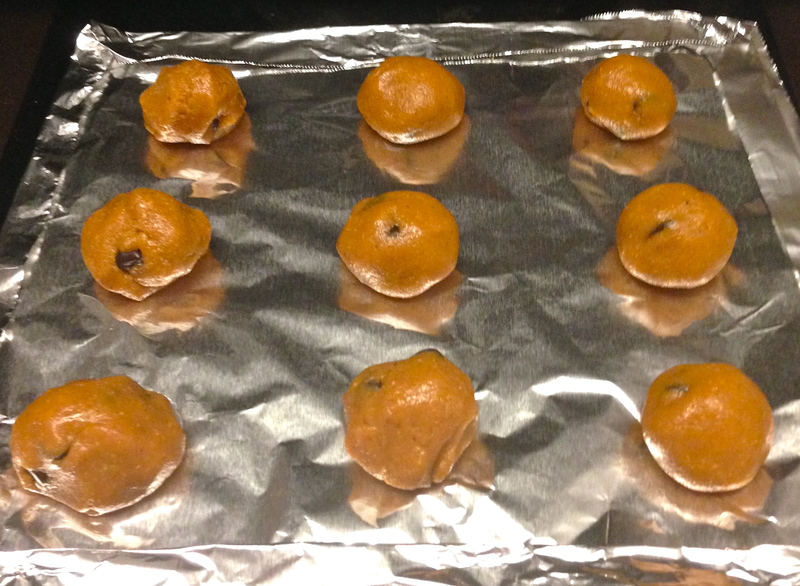 Leave approximately 1-2 inches between balls on baking sheet. 6. Flatten each ball into a small circle with a fork – I like to make a decorative pattern with mine by either leaving the lines from the fork tongs or criss-crossing them back and forth (as shown). 7. Bake cookies for 12-15 minutes, until the edges are slightly browned. Let cool completely before removing from baking sheet, as these cookies fall apart easily if handled too much while warm. Enjoy! 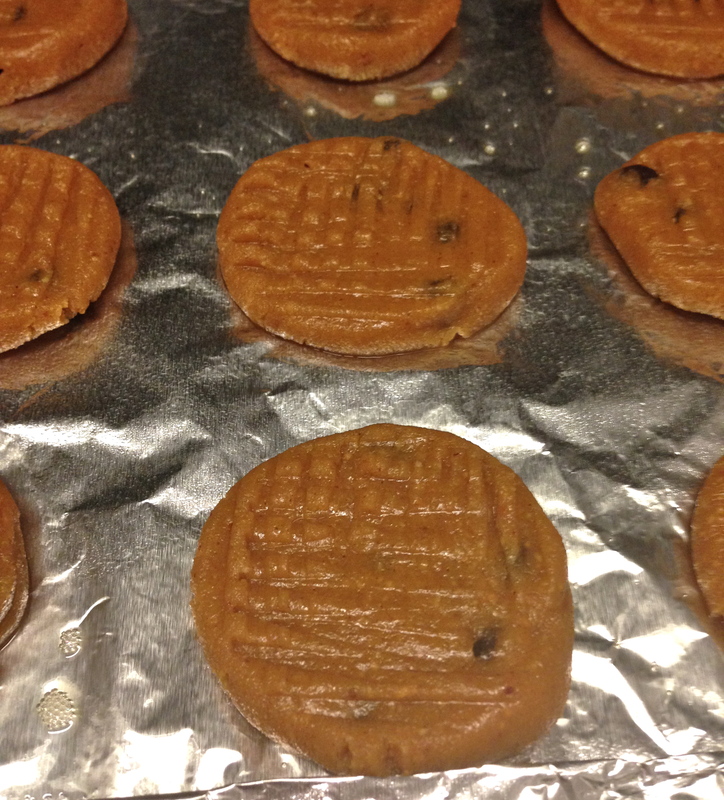 Ready to bake in the oven – just a few minutes until peanut butter-y goodness! 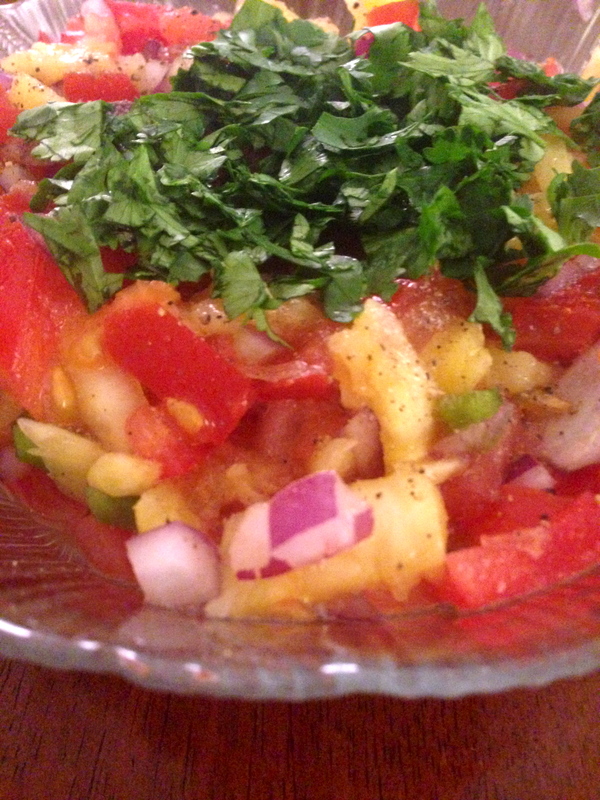 Pineapple salsa will spice up any plain fish dish – and add a hearty serving of fruits and veggies! This fresh, homemade salsa offers lycopene, an antioxidant found in tomatoes, along with the heat of a jalapeno pepper and the sweetness of pineapple. Although I used halibut in this recipe, any white fish will do. I’ve made this before using sea bass and prefer the less oily texture of the halibut with the salsa. My main suggestion? Try to opt for a wild-caught fish! 1. Preheat oven to 360 degrees Fahrenheit. 2. Spray casserole dish with nonstick vegetable oil cooking spray. Place halibut in casserole dish and drizzle olive oil over fish, distributing it evenly. Sprinkle salt, pepper and garlic powder over each fish fillet. Set aside. 3. Dice tomatoes, onion, jalapeno and pineapple. Combine in bowl. 4. Rinse cilantro leaves and pat dry. Finely chop cilantro and add to salsa. Add salt and ground black pepper to taste. Combine well and set aside. 5. 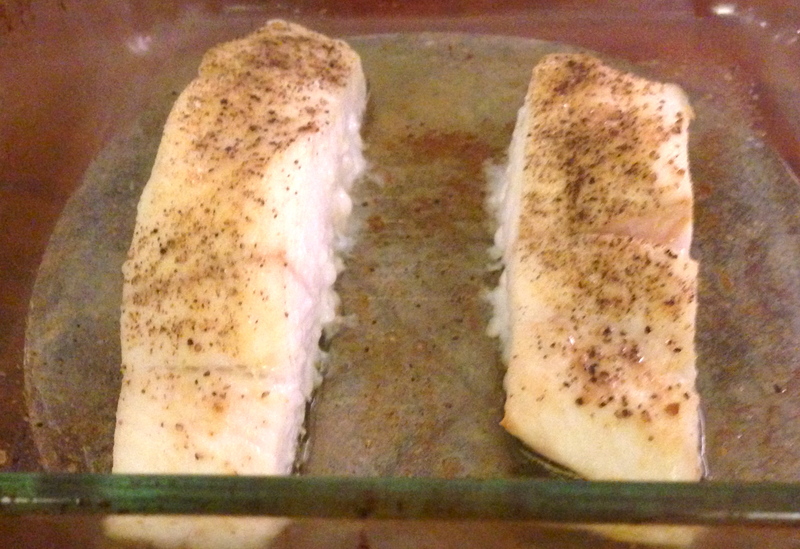 Bake fish in oven until flakey and opaque, approximately 25 minutes. The internal temperature of the fish should reach 145 degrees Fahrenheit. 6. Remove fish from oven and top each fillet with salsa. Make sure to save some salsa on the side to scoop up with veggies and/or tortilla chips! Enjoy! 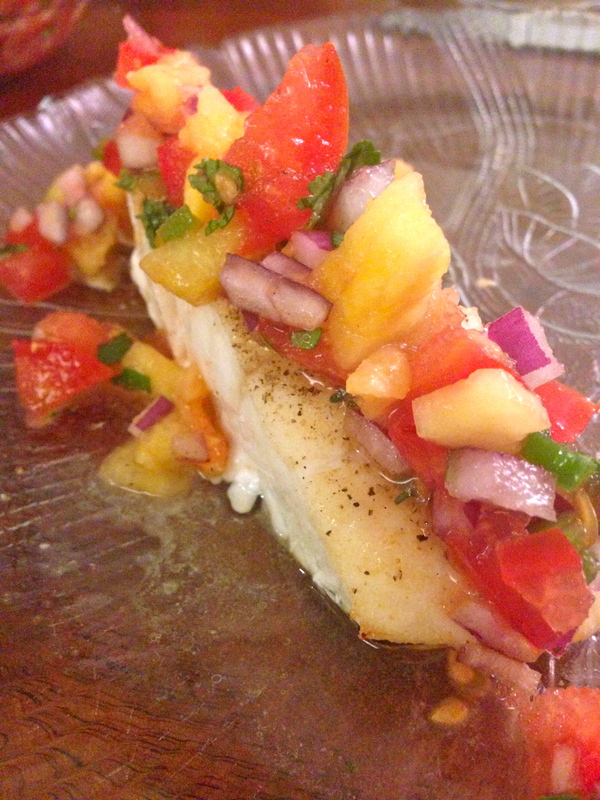 Baked halibut – ready to top with the pineapple salsa! Okay, I promise after this I will post something about a food that is not in the cruciferous veggie family – but why not try one more recipe involving a member of this nutritious family?! 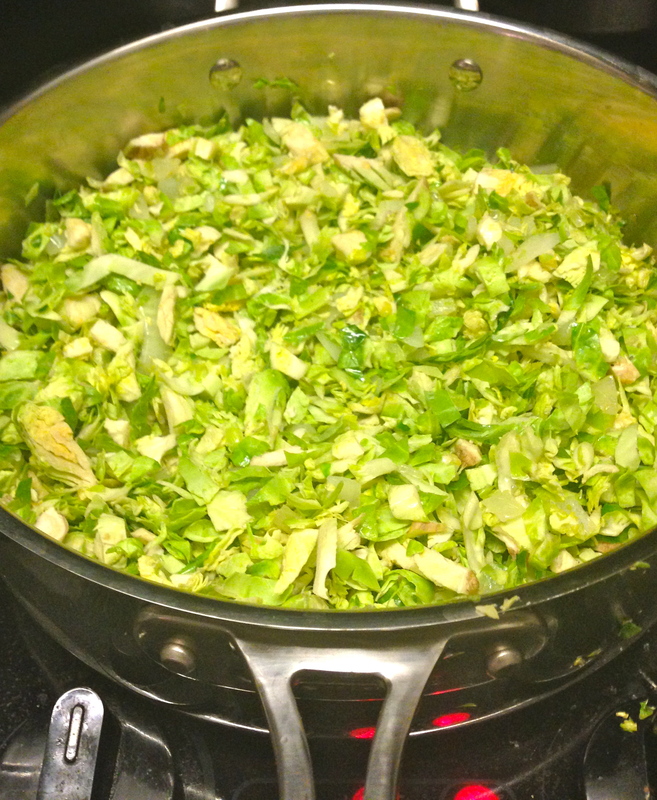 These shredded sprouts take less than 15 minutes to prepare and are a sweet and tangy way to enjoy this vegetable. Also, onions, with their sulfur-containing compounds, boast some impressive health benefits as well and, paired with the sprouts and the balsamic, make for a tasty side dish that can be enjoyed hot or cold! ready to add the balsamic vinegar, water and spices! 1. Warm olive oil over medium heat in large saucepan. 2. Chop onion. Add onion to olive oil. Cook approximately 5 minutes, stirring occasionally. 3. 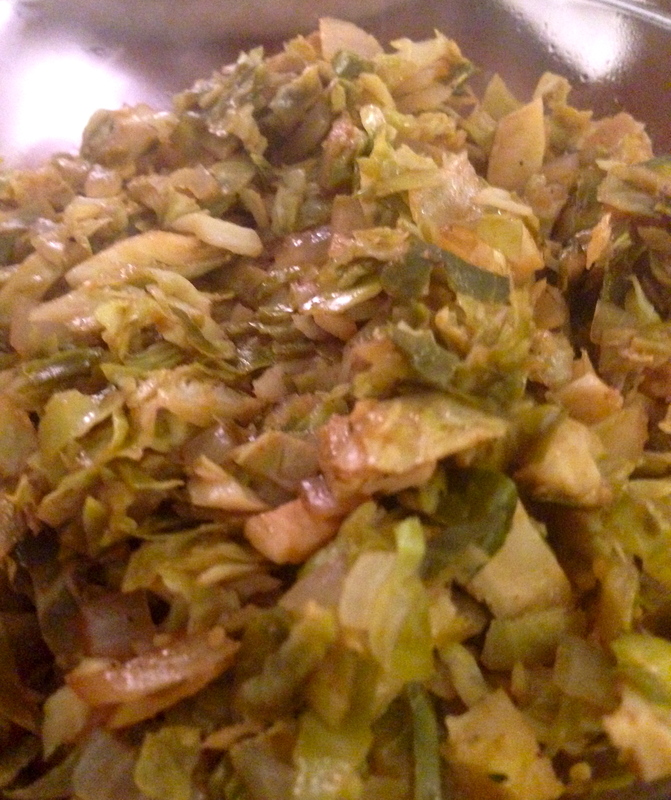 Add shredded Brussels sprouts to onion and olive oil. Cook approximately 5 minutes, stirring occasionally. 4. Add water, balsamic vinegar, garlic powder, salt and pepper to Brussels sprouts. Cover and cook 5-7 minutes, until liquid has mostly been absorbed. 5. Remove from saucepan – if there is a large amount of excess liquid then drain. Enjoy hot, or cold the next day!